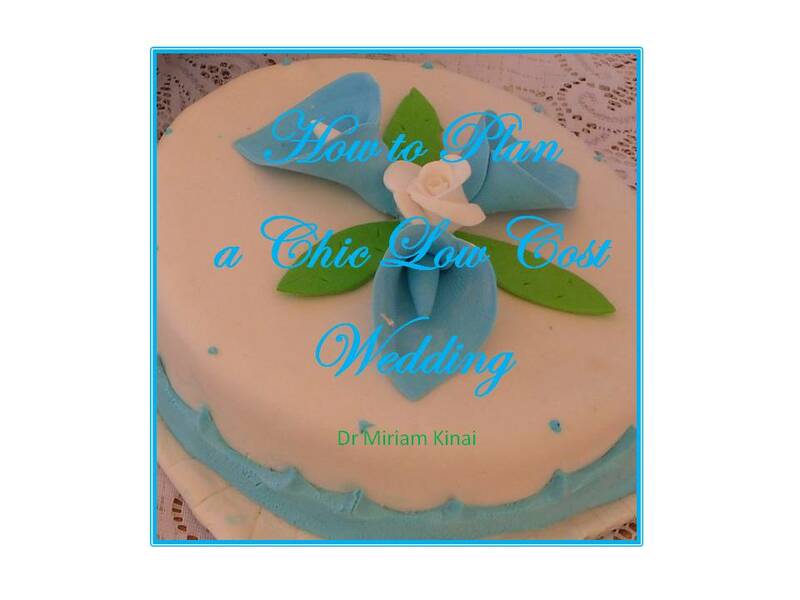 How to Plan a Low Cost Chic Wedding by Dr. Miriam Kinai shows you how you can creatively improvise to create a beautiful wedding on a tight budget. It also contains a list of free resources from software to patterns and recipes to help you save on money but not on style as you plan your wedding. 1. Buy in bulk and at wholesale prices the candy, chocolate and other food products with long shelf lives that you can give us wedding favors, serve as reception dessert, enjoy on your honeymoon as well as in your married life. 2. Buy in bulk and at wholesale prices the candles for your reception centre pieces which you can use in your honeymoon for romantic baths and in your home for relaxation baths. 3. Buy in bulk and at wholesale prices the napkins you will use at the reception and later at your home. 4. Buy in bulk and at wholesale prices the fruit juices to make your signature punchy for the reception.